Russell rescues youth. Russell Hartsaw has a burning passion for making a difference in the lives of homeless youth, at risk youth and their families. He experienced firsthand what it means to be homeless and abused. He also knows the potential dangers that lie ahead for kids who are homeless and at risk. But what can one person do? Russell discovered an area in his city where homeless youth hid and supported each other in order to survive. He took food to them that he paid for and received from friends also wanting to help. Eventually, a few of these kids began to trust Russell. They were Gerald and nine of his friends, all between the ages of nine and fifteen years old. When Russell received money for a gift from a friend, he chose to use it to take these ten kids out to a local restaurant for a meal. It turned out to be a tremendous experience. The manager at the restaurant matched the money so it provided meals for the group and allowed them to take food back to other kids who remained in seclusion. Providing meals for this group of friends was only the beginning. Due to Russell's enthusiasm and initiative, area churches and members of the community tirelessly knocked on doors until they found homes for all ten kids! Russell Hartsaw has now founded an organization to provide resources and support for homeless youth, at risk youth, their families and related organizations. The Invisible Youth Network is made up of volunteer members from every continent in the world. Go to http://www.orgsites.com/ca/youthoutreachinternational and learn more about the mission of the Invisible Youth Network and how you can get involved. What can one person do? Russell has proved you can change lives! Roger Carr is the founder and owner of Everyday Giving and board member of the Invisible Youth Network. A website was just brought to my attention which look pretty interesting. 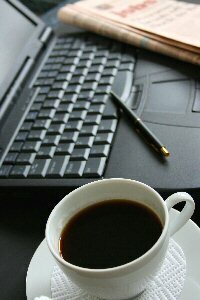 It's www.globalrichlist.com. You enter your annual salary and it rates you among the rest of the population with regard to your wealth. But the cool thing is how it immediately points you to what you could do with your money. Needs are everywhere. There's no reason not to take the simple plunge into a world of adventure, meeting others' needs. Thanks, love and appreciation are powerful words when expressed from the heart. How many times have you used these words today? I recently received two thank you notes in the mail on the same day. Both of them were thanking me for the volunteer work I have been doing with the Arthritis Foundation. One of those notes was from a girl that suffers from juvenile arthritis. It was unexpected and really touched me. It also motivated me. Saying "thank you" is powerful. When I'm talking on the phone with my wife or son, I always tell them that I love them at some point during the conversation. If I'm on my cell phone in public during the phone call, heads turn in my direction with a smile when I say those words. Recently I read a book by Dan Baker, Ph.D. and Cameron Stauth entitled "What Happy People Know: How the New Science of Happiness can Change Your Life for the Better ." I highly recommend the book. They discuss love being the opposite of fear. The best way to overcome fear is with love. 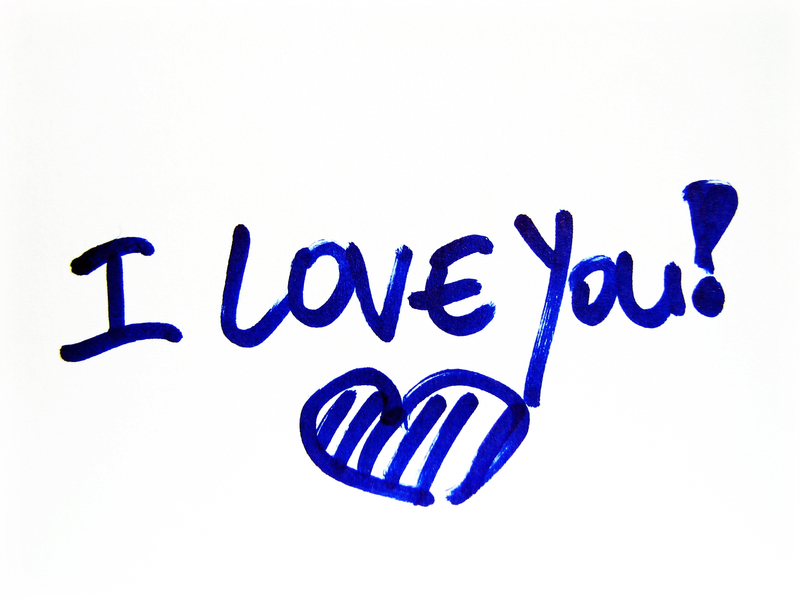 Saying "I love you" is powerful. Several months ago I sent an e-mail to my clients and subscribers entitled "I Appreciate You." I received a larger response to that e-mail than any other before or after it. It obviously struck a positive chord with many readers. In the same book mentioned above, Baker and Stauth wrote "Appreciation is the highest, purest form of love...Appreciation asks for nothing and gives everything." Saying "I appreciate you" is powerful. Share your feeling of thanks, love and appreciation with others through notes, telephone calls and face-to-face conversations. These simple acts of kindness have the potential to change lives and make the world a better place. Little ways of reaching out make all of the difference to someone who is hurting, especially when the illness is chronic. It's rarely the "size" of the task, but the simple fact that you made an effort and remembered him or her in your thoughts. 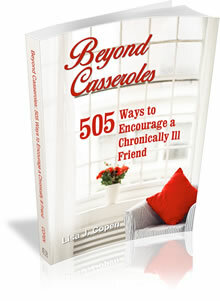 Here are 50 creative ways to encourage a chronically ill friend, excerpted from 'Beyond Casseroles: 505 Ways to Encourage a Chronically Ill Friend' by Lisa Copen. 1. Ask, "What events in your life are changing and how are you coping with the changes?" 2. Understand that she lives in a constant state of making decisions for which there is no guarantee that she is making the right choice. 3. Put meals in disposable containers and attach a note saying "This doesn't need to be returned." 4. Add stickers to envelopes for a cheerful touch. 5. Arrange for your friend's kids to have a night with your children. 6. Don't make a person into a project. 7. Ask, "Would you be willing to talk to a friend of mine who has recently been diagnosed with a chronic illness and offer her some encouragement?" It makes one feel good to know that her experience can offer someone else hope and that God still has a purpose for her life. 8. Wash his car and put a little note inside for him to find later. 9. Remember important anniversaries, both the good and the bad. No one else will. 10. Ask, "Do you want company the day that you wait for the test results? I could come over for a couple of hours." Just listen . . . until it hurts to not say anything. And then listen some more. 12. Ask her, "How do you feel God is working through-or despite-this illness in your life? I'm interested." 13. Ask, "What do you wish people understood about your illness?" 14. Don't make her feel guilty about things that she cannot do. 15. Treat her to a gift of movie rentals via postal mail through a service ($7-15 a month). 16. Ask, "Would you be comfortable with having your name on a prayer list, so that others can pray for you?" Don't assume. 17. Instead of saying, "I will pray for you," say, "I'd like to pray for you right now, if that's okay." 19. Ask if she would be interested in writing something for the church newsletter, maybe even about the subject of living with chronic illness. 20. Buy a brightly colored umbrella as a gift. 21. Ask, "Do you have an errand I can run for you before coming over?" 22. Ask her to do spontaneous things, like go to a concert in the park, or just for a picnic. She may be more likely to participate since she knows if it's a good day or a bad day. 23. Don't say, "So, why aren't you healed yet?" or "I wonder what God is trying to teach you that you just aren't learning!" 24. For a unique gift, provide brightly colored paper plates, napkins, and utensils in a gift bag with a note that says "For when you don't feel like doing dishes." 25. Get her a pretty box to keep all of her notes of encouragement. Remind her to get it out and read things when she is feeling down. 26. Be her advocate. If you are at an event and walking/seating is an issue because of her disability, ask her if she'd like you to take care of it. If she says you can, be firm but not rude. Don't embarrass her by making accusations of discrimination or by making a scene. 27. Ask, "Would you be interested in a prayer partner from our church?" 28. Purchase matching coffee mugs for you and your friend, and then commit to pray for one another each morning while using them. 29. Say, "While you're in the hospital I'd be happy to take care of your pet." 30. Don't tell her about your brother's niece's cousin's best friend who tried a cure for the same illness and. . . (you know the rest). 31. Find out which charity is most important to her and then give a donation in her honor. 32. Ask, "What are your top three indulgences?" and then spoil her soon. 33. Hold the door open for her. They are heavy! 34. Don't tease her and call her "hop along" or "slowpoke." Comments you mean in fun can cut to the quick and destroy her spirit. Proverbs 18:14 says, "A man's spirit sustains him in sickness, but a crushed spirit who can bear?" 35. Say, "I know you must need someone to just vent to occasionally. I may not fully understand how you feel, but I'm here to listen anytime." 36. Ask your church youth group to come over and clean up the yard during seasonal changes. 37. Don't ask her, "How are you able to make it financially?" If she wants to share a burden she will. 38. Ask, "What would you advise me to look for in a new doctor?" 39. If your friend has a disabled parking placard and you are driving, allow her to tell you where she wants to park. If she's feeling particularly good that day, she may not want to park in the "blue space." Don't be disappointed that you'll have to walk farther. 40. Don't gossip about others. She'll wonder what you say about her. "Do not let any unwholesome talk come out of your mouths, but only what is helpful for building others up according to their needs, that it may benefit those who listen" (Ephesians 4:29). "A word aptly spoken is like apples of gold in settings of silver." Be kind, gentle, and respectful. 41. Accept that her chronic illness may not go away. If she's accepting it, don't tell her the illness is winning and she's giving in to it. 42. Don't say, "Let me know if there is anything I can do." People rarely feel comfortable saying, "Yes, my laundry." Instead pick something you are willing to do and then ask her permission. Try the coupon in back! 43. Ask her to share her testimony at an event. 44. Buy a magazine subscription for her on her favorite topic. 45. Plant a rosebush to view from a window. 46. Understand that you don't need to know all of the details about the illness in order to be helpful. He'll share with you what he's comfortable with you knowing. 47. Don't ask, "Why can't the doctors help you?" or insinuate that it must be in her head. There are millions of people who are in pain with illnesses that do not have cures. 48. Avoid having gifts be "pity gifts." Just say, "I saw these flowers and their cheerfulness reminded me of you." 49. Send tapes of church services your friend misses to her with a copy of the bulletin and a note. 50. If she doesn't have a cordless phone, get her one. Phone headsets are also nice. For 455 more ways to encourage a chronically ill friend, buy 3 copies for $10 (special buy!) of Beyond Casseroles, by Lisa Copen, founder of Rest Ministries and editor of HopeKeepers Magazine. http://www.comfortzonebooks.com - A wonderful book for pastors, chaplains, nurses or just anyone who cares for those who are hurting.